To die for: Niu Rou Juan Bing on Daan Rd. I am currently a very happy man. After what feels like more than a year, my favourite traditional little restaurant is back in business. Culinary heaven for just a few NT$ – this is where you can find it. 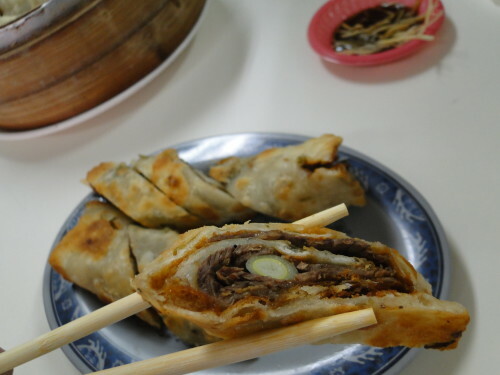 According to the guy next door, the laobanniang (lady boss) had health issues, but now she is busy again, making Taipei’s best Niu Rou Juan Bing (牛肉捲餅, scallion pancake rolled with beef), as well as some very good Xiao Long Bao (小籠包) dumplings. 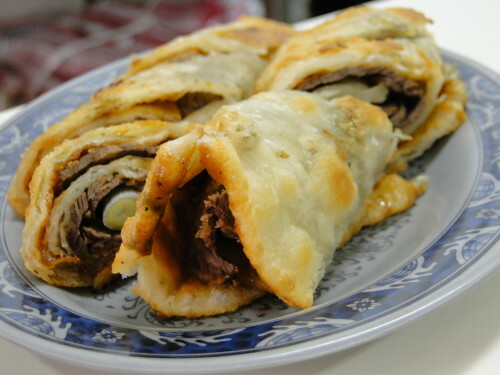 Niu Rou Juan Bing, that’s beef and spring onions, wrapped up in a savoury pancake. You can keep your seafood, oyster omelettes, even your beef noodles: This is probably my favourite dish in Taiwan. 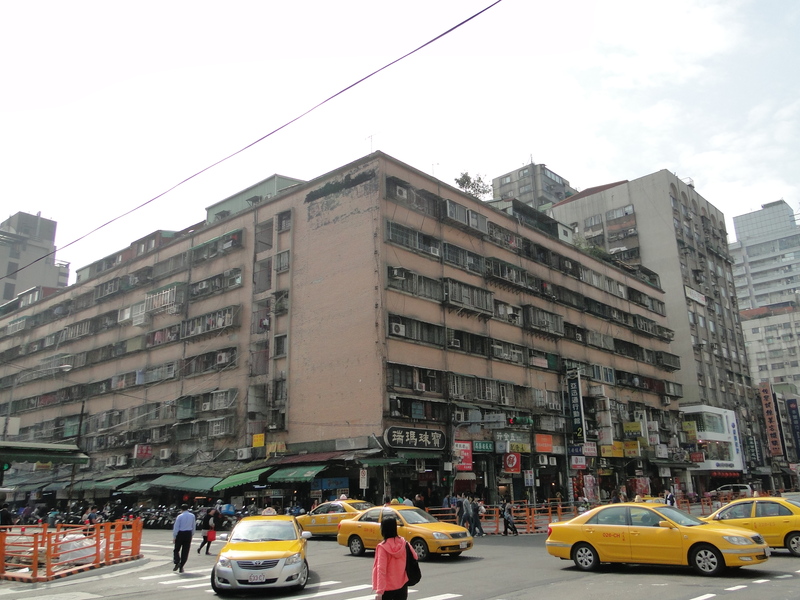 The official address is Xinyi Rd., but don’t be fooled: The restaurant is on Daan Road, in this conspicuously ugly building that you may have noticed before. 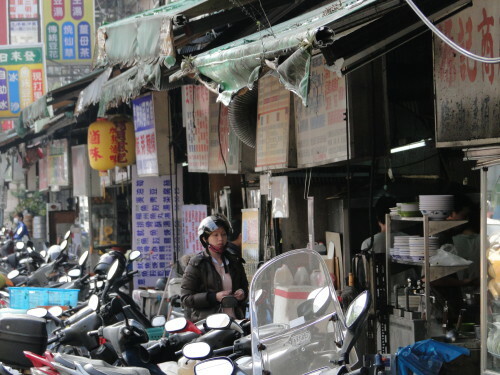 To get there, turn right when you step out of MRT Daan station and walk about 50 meters to the intersection with Daan Road. 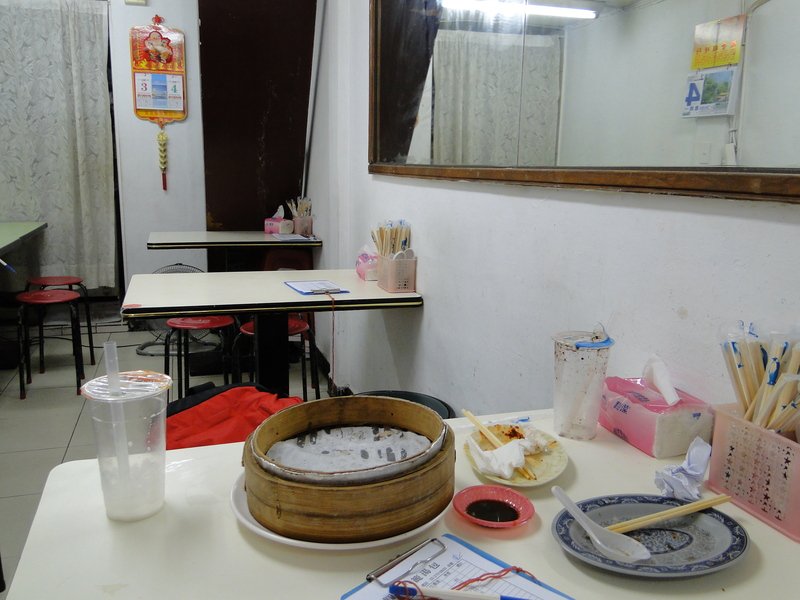 There’s a cluster of great little restaurants that you have to check out if you are not put off by the authentic (i.e. somehow grimy) atmosphere of the place. Turn right again and walk almost to the end of the block, and you will reach your destination. If the boss is just busy stacking bamboo steamer baskets, it’s your lucky day. As it is so often the case, the inside of the restaurant does not look like much. But don’t let yourself be fooled by this. 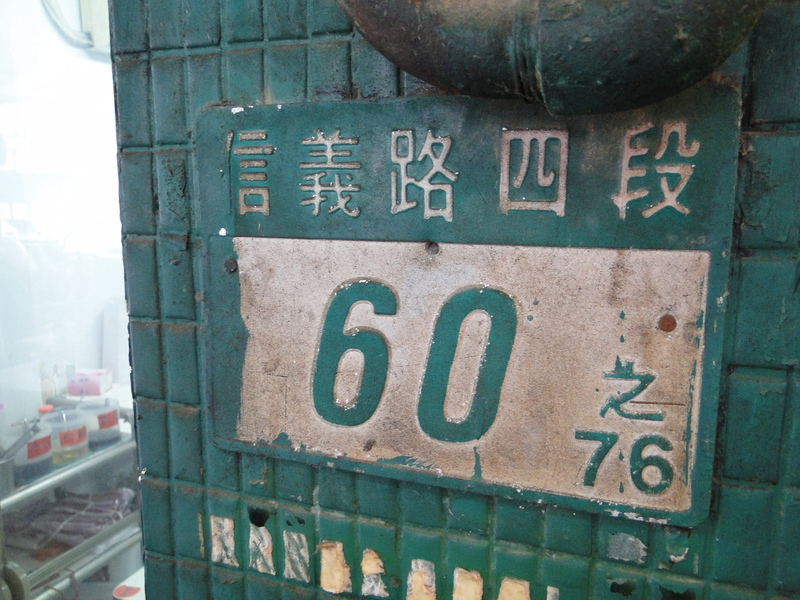 The Niurou Juanbing will set you back NT$70. You can also get a pork variety for the same price. 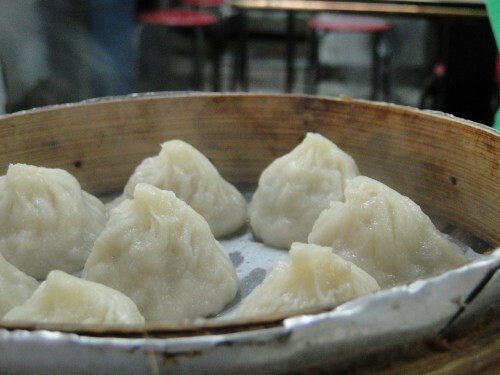 While you are there, try the steamed Tangbao (湯包), a kind of Xiaolongbao, but with soup inside along with the meat filling. 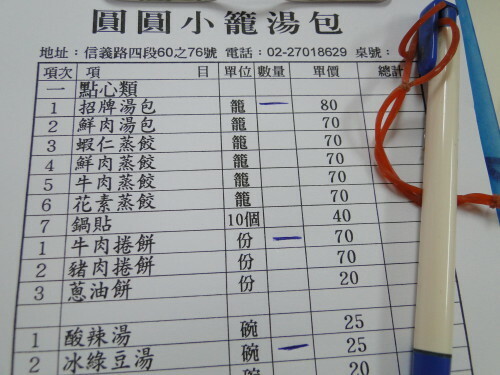 At NT$70-80 for a set of eight dumplings, it’s a much better deal than at Din Tai Fung. 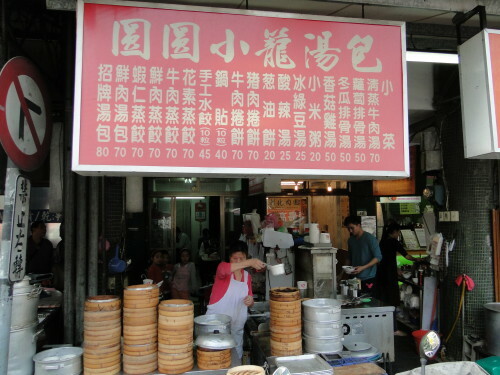 To round things up, treat yourself to a bowl of delicious cold green bean soup (綠豆湯) for NT$25. Yes, it’s good. 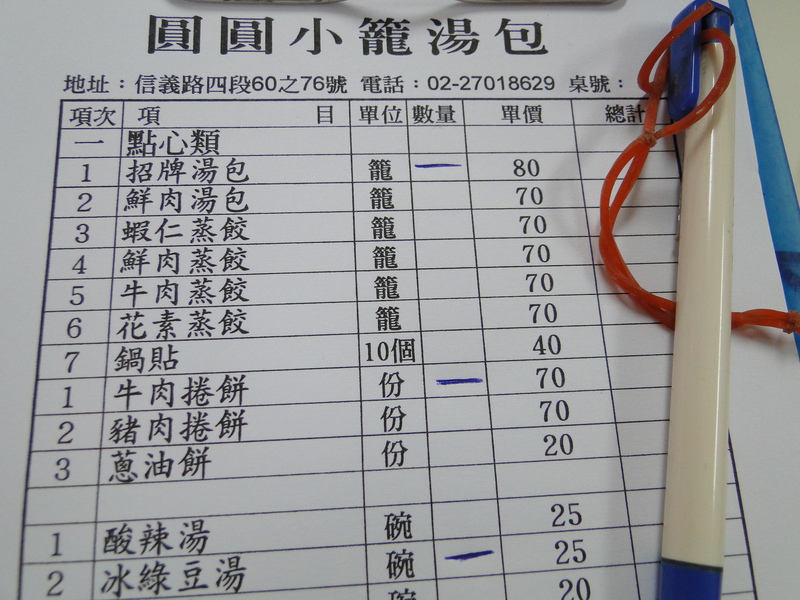 So this is it: Your ticket to culinary bliss Taiwan style, for NT$175 (less than 5 Euro or US$6). One thing that’s not so great: There are only disposable wooden chopsticks, so bring your own pair of reusables. Have you tried it? What’s your favourite place for yummy street food in Taipei? What Taiwanese think about girls with Western partners: What is a Xicanmei 西餐妹 ? I really enjoy this article for there’re many points I do feel the same way with, but surprisingly out of a German’s! Thank you, and I will definitely try to remember 內行 ! 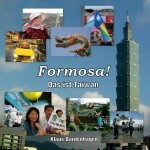 Coming to Taipei in August 2013. Hope the shop is still in operation.